Abortion is legal in Queensland, Victoria, Tasmania, Western Australia, the Northern Territory and the ACT. In Victoria, a woman can choose to have an abortion until she is 24 weeks pregnant and in Western Australia, termination is legal within the first 20 weeks. It is estimated between a quarter to a third of Australian women will choose to have an abortion at some point in their lives. A federal Labor government would also commit to building an abortion clinic in Tasmania to adjoin a public hospital. Despite the procedure being legal in Tasmania since 2013, there are no local facilities. Ms Plibersek said it was not fair that women living in Tasmania or regional areas were being forced to travel long distances to terminate a pregnancy, as it increased the emotional and financial burden. "We wouldn't accept someone having to travel that far for a hip replacement or a broken bone. Women deserve better," she said. The NSW Family Planning Alliance said most abortions cost around $400-$500, which was out of reach for some. "We speak to many women who find it very challenging to find the money," spokeswoman Dr Deborah Bateson said. "If you couple that with travel costs and accommodation costs we really need to look at how we can get rid of these inequalities." Dr Bateson said the rate of abortion in Australia was dropping and free services were unlikely to see it increase. She said a variety of factors, including more effective contraception, was reducing the need to terminate a pregnancy. Last year an ABC investigation found that Australia had been following international trends and many of the available statistics pointed to a marked reduction in terminations across the country to a rate as low as 13.5 per 1,000 women. Labor said it would also seek to boost the uptake of long-term contraceptives, including the commonly used Implanon hormonal implant and Mirena intra-uterine device, as part of a $9 million Women's Reproductive Health Package. It said the long-acting removable contraceptives were over 99 per cent effective, but only one in 10 Australian women used them in contrast to one in three women in the US and UK. The party also pledged to investigate whether GPs should be allowed to provide patients with a three-year prescription for the contraceptive pill to prevent repeated visits. Taxpayer-funded abortions will be offered in public hospitals as part of an election pledge to be outlined by Labor today. Late-term abortions could also be publicly funded — in line with what is legal in each state and territory. Opposition spokeswoman for Women Tanya Plibersek said a federal Labor government would require public hospitals to offer termination services as part of their Commonwealth funding arrangement. 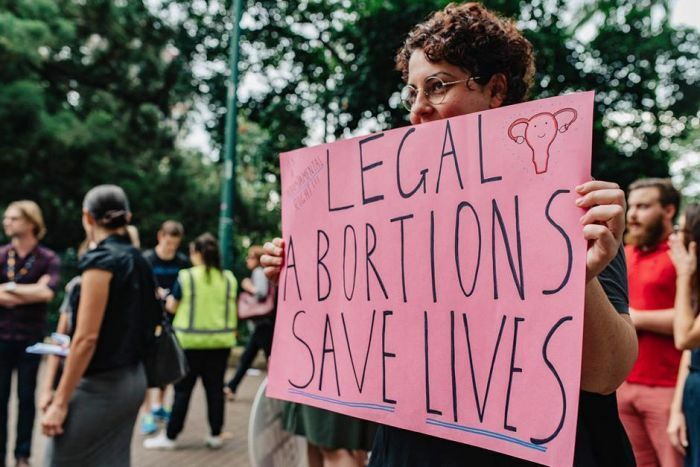 However, abortion is still illegal in New South Wales and South Australia unless doctors find the woman or foetus is at risk. 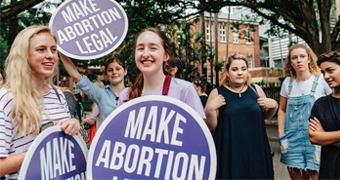 As abortion laws are made by the state government, Labor will seek to have the New South Wales Government decriminalise the procedure, but will be powerless to force public hospitals to provide the service unless it is legalised. Have feminists dropped the ball on abortion law reform? Abortion has been a hot topic these past few weeks – and just as it appeared we were gaining traction, a second (and MUCH bigger) front has opened. AFC supporters have come out in droves to oppose a radical Greens abortion bill in the SA Parliament. Upper house MLCs have now received over 4000 local emails EACH – more than three quarters of which have come from our supporters. But all this seems to pale into insignificance with the news that Federal Labor unveiled this week. If elected in a few months, a Shorten Labor Government would fully liberalise abortion laws across the nation. Because it’s a state matter, Labor would tie hospital funding to the provision of free abortions. This is a disgusting misuse of coercive federal powers. And abortions are not “free”, of course. You and I would be paying for them. Now, this is not unforeseen. Labor settled on this policy at their national conference in December. But it’s only now that the details are being released and people are starting to realise the election stakes have just been raised – MASSIVELY. We have invested significant resources into the SA campaign, but it’s clear that the focus needs to swing federally as we approach the election – which is now only a couple of months away. Can you help us meet this huge new challenge by making a donation today? We’ve known this was coming, but not how open and callous it would be. Making abortion an election policy is shocking enough, but it’s only when we read commentary from the proponents that we realise how cold this move is. She doesn’t even pretend to hide it. “Bring a child into the world”. Not a foetus, but a child. And how can a chance at life be tragic? Really, the only tragedy would be if we stood by and allowed these policies to be implemented. We need your help. Your donation of $25, $50, $100 or any amount you can spare would help the campaign at a critical time. We are serious about confronting this threat. In the coming days and weeks, we’ll be gradually sharing meeting details in your state or territory where we’ll talk about tackling this and other burning election issues. However, this is a major exercise and we need your help. Whether you’re a regular giver or you’re still weighing up getting involved, our work only continues because of supporters like you. Please CLICK HERE and lend a hand as best you can. I and the team really appreciate your support. It literally is what keeps us in the field. Please use your full name as a reference so we can send you a receipt. Please provide your return address so we can mail a receipt.